Mr. Hicks, born in Atlanta, Georgia in 1941, was the eldest of five children. His parents, Reverend Doctor John J. Hicks and the former Pollie Louise Bledsoe of Atlanta, both deceased, moved to Los Angeles when Mr. Hicks was an infant. That is where Hicks received his first piano lessons under the tutelage of his mother. When Hicks was fifteen, the family moved to Saint Louis, Missouri in order for the Reverend Hicks to take over the pulpit of Union Memorial Methodist Church. After graduating high school and attending Lincoln University, the prestigious Berklee School of Music in Boston, and Julliard School of Music in New York City, Hicks relocated to New York City from St. Louis by accepting his first road gig with Della Reese. That was over 40 years ago. 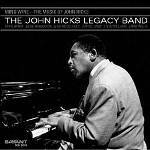 John Hicks became so firmly established among the most in-demand, prolific jazz pianists and composers on the recording and live appearance scenes, critics permanently affixed the adjective ubiquitous to his name. As a leader or first-call sideman, playing inside or outside the chord changes, presenting sparkling ballads or burning up the keyboard at torrid tempos, Hicks was as versatile as he was omnipresent. He has graced the stages of Carnegie Hall, Avery Fisher Hall, Kennedy Center, Spivey Hall, and a host of international jazz festivals. Although his exhaustive discography is inclusive of nearly every modern-day jazz great, his most recent creative undertakings included memorial recordings with his own trio: Music in the Key of Clark (Sonny Clark) - High Note; Impressions of Mary Lou (Mary Lou Williams) - High Note; Nightwind (Erroll Garner) - High Note; John Hicks Trio and Strings with Larry Willis and Elise Wood - Mapleshade; So In Love with Richard Davis - King Records; Live in Taiwan and Beautiful Friendship with flutist Elise Wood - Hiwood. Of particular note as a leader is his recording Something to Live For: A Billy Strayhorn Songbook, which features some of Hicks' most lyrical work. The years of the past decade have seen an increasing focus of solo work, trio work and his Quintet and Sextet. Teaming up with a diverse array of musicians had become a Hicks trademark. It also infused his playing with a unique characteristic: a relaxed confidence so total that at times it belies the passion he brings to a song. In all these realms, he has brought together outstanding musicians all whom share with him excellence in the creation and delivery of the universal language. 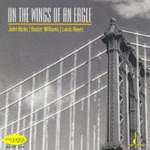 Among those with whom he worked are Curtis Lundy, David Murray, Elise Wood, David Newman, Hannibal Peterson, Cecil Brooks III, Walter Booker, Billy Bang, Sonny Fortune, Frank Wess, Louis Hayes, Buster Williams, George Mraz, Idris Muhammad, Mickey Bass, Lester Bowie, and a host of luminaries in the jazz genre. All About Jazz musician pages are maintained by musicians, publicists and trusted members like you. Interested? Tell us why you would like to improve the John Hicks musician page.